Atlanta TV Repair, GA - In-home television repair in the Atlanta area. Atlanta TV Repair has been repairing Television in Atlanta GA and the surrounding area on in home TV Repair with the best reviews on the market. 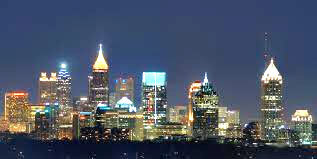 Atlanta TV Service and Repair rely on our services because our experience, expertise , training and service. Our television repair service is perfect to meet your television repair need. Why try to put your big TV in your car, when we can come to you for television repair at your home for the same price? Call us now and we will take care of your television repair as quickly as possible, so you can get back to watching your favorite shows and events. Atlanta TV Repair is Atlanta's leading TV repair service center. Our factory trained technicians have served customers for over 23 years. Serving Atlanta areas on in home TV Service and Repair, Atlanta TV Repair offers expert service on major brands of Flat Screen TV, Plasma, HDTV, LCD, DLP HD TV, LED Television, CRT, LCD Projection and Rear Projection TVs. We provide in-home TV repairs in the following Atlanta Atlanta zip codes: 30301 30302 30303 30304 30305 30306 30307 30308 30309 30310 30311 30312 30313 30314 30315 30316 30317 30318 30319 30320 30321 30322 30324 30325 30326 30327 30328 30329 30330 30331 30332 30333 30334 30336 30337 30338 30339 30340 30341 30342 30343 30344 30345 30346 30347 30348 30349 30350 30353 30354 30355 30356 30357 30358 30359 30360 30361 30362 30363 30364 30366 30368 30369 30370 30371 30374 30375 30376 30377 30378 30379 30380 30384 30385 30386 30387 30388 30389 30390 30392 30394 30396 30398 30399 31106 31107 31119 31120 31126 31131 31136 31139 31141 31145 31146 31150 31156 31191 31192 31193 31195 31196 31197 31198 31199 39901.